This document describes how you can use Team Password Manager's Mobile App for Android Smartphones. A Smartphone running Android 4.4 or newer. 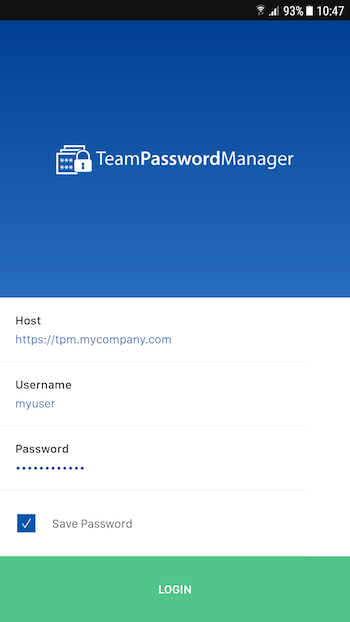 A running installation of Team Password Manager with API v4 (at least version 6.56.118), and a valid user in this installation. Click the following link to install the app on your smartphone. This will open the app page on the Google Play Store, and then click the "Install" button to install it. Alternatively open the Google Play app on your smartphone and search for "Team Password Manager". Save Password: this is optional and it will save your password for the next login. Note that these data will be saved and the next time you access the login screen you won't have to enter it (except for the Password if you haven't checked "Save Password"). 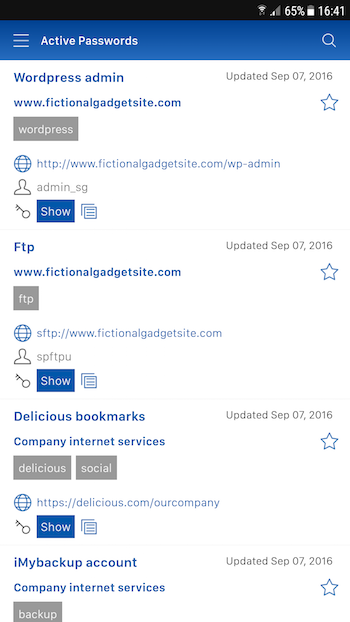 First version released to public.